I've had my fill of 1) lockout news, and 2) turkey. While filling with turkey, I had a side dish of football (sorry, tough break Lions fans). 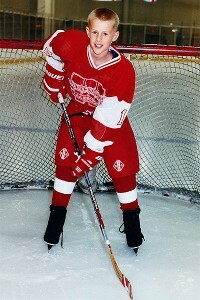 Reference was made to Houston Texan, J.J. Watt's hockey background. A short search (by my son) found this. Blame it on me but now fixed. Nice story. He would have made quite a defenseman.